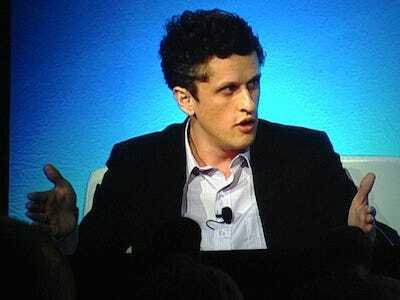 Levie says that these childhood companies were often nothing more than a few Web pages. But a few were more ambitious like an Internet kiosk for hotels and malls, a Web portal for real estate listings, reports Forbes Victoria Barret. Eventually, in college, he would create Box with another childhood friend, Dylan Smith. Queisser would join Box a year later to lead technical operations, a job he still holds today. Levie dropped out of college to run Box and never plans to go back. “I’m living the life I dreamed of as a 12-year-old. I don’t have hobbies. I want to build a big company, and this is it,” he told Barret. He’s doing a good job of it. While competitors ranging from Dropbox to Microsoft to SAP are chasing him with their own enterprise cloud, file-sharing apps, Box this week just rolled out a bunch of new security features that again raises the bar on them. This includes being one of the first business applications to work with Samsung’s new Knox technology. Knox divides a phone into two sides, business and personal, with different security settings for each and is part of Samsung’s push to beat Apple by appealing to business users.